London’s architectural patchwork quilt – stitched together using a myriad of buildings of varying styles and time periods – is filled with oddities. Here’s our round-up of the most unusual buildings in the capital. This distinctive skyscraper on 20 Fenchurch Street, aptly dubbed the ‘walkie talkie tower’, is just one of the standout buildings among London’s skyline. Designed by Uruguayan architect Rafael Viñoly, the 34-storey building is top-heavy and has a public viewing gallery, the Sky Garden, at the top (you can book free tickets online). Other peculiar skyscrapers in the capital include Foster + Partners’ St Mary Axe, nicknamed the Gherkin, and the wedge-shaped Leadenhall Building, also known as the Cheesegrater. This temple-like pumping station on the Isle of Dogs was built between 1986 and 1988 to the designs of John Outram. The postmodern building stands out with its large, red brick columns topped with brightly painted capitals and even what looks like a Cyclops’ eye in the middle of the pediment – a feature created using a turbine engine. Prepare to be confused – the diagonal windows on the façade of this hotel create an optical illusion, which can leave you feeling dizzy. From a distance, the front of the building looks rather flat, and its triangular shape is only revealed as you walk closer. Billed as the ‘oldest grand music hall in the world’, this building in London’s East End is proud of its authentic rugged looks – complete with peeling paint and exposed brickwork. 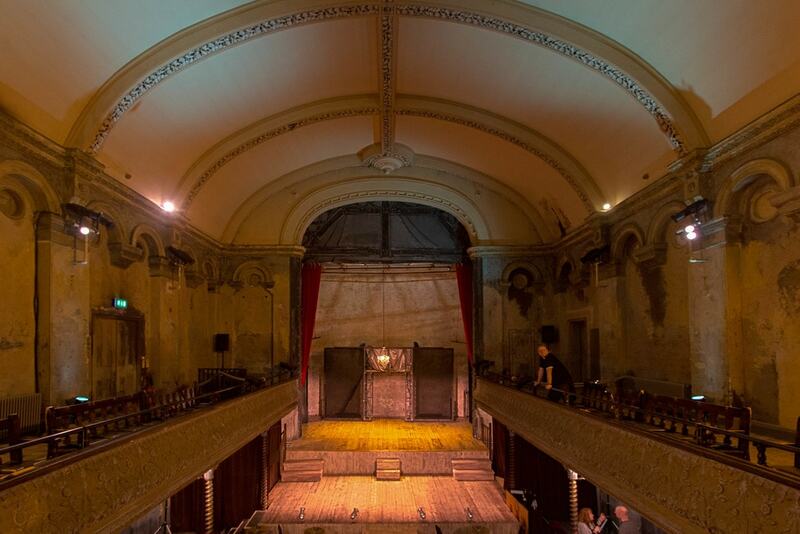 The music hall dates back to the mid-19th century and was later used as a church and a rag storage warehouse, before it was turned back into an arts performance space. Today, it’s a great venue providing shows and music. Head for a pint at The Churchill Arms in West London, which is famed for its ornate display of flowers coating the outside of the building. Built in 1750, the name of the boozer is a reference to Winston Churchill’s grandparents, who used to be regular customers. This curious, dark-green hut was built in 1906 for drivers of London horse-drawn hansom cabs to shelter in as they waited for customers. The shelters were common in the capital during this period, but most were lost over the years. This shelter in Grosvenor Gardens, which continues to serve London taxi drivers to this day, is a rare surviving gem and is worth a visit. 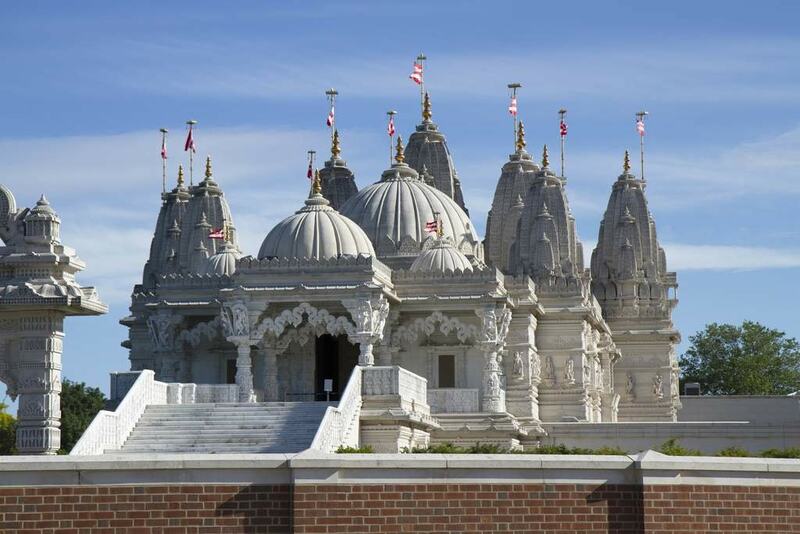 This splendid Hindu temple in North-West London is strikingly beautiful and built using traditional materials and methods. If you do go, make sure to be respectful – remember it is a place of worship – and obey the temple’s visitor guidelines. This interesting little building, tucked away in the south-east corner of Trafalgar Square, used to be Britain’s smallest police station. Erected in 1926, the station allowed police to monitor demonstrators in the public square – it even had a direct phone line to Scotland Yard to call in reinforcements when needed – and could hold two prisoners or one officer inside. Today, however, the building’s use is much less glamorous: a storage cupboard for Westminster’s cleaners. 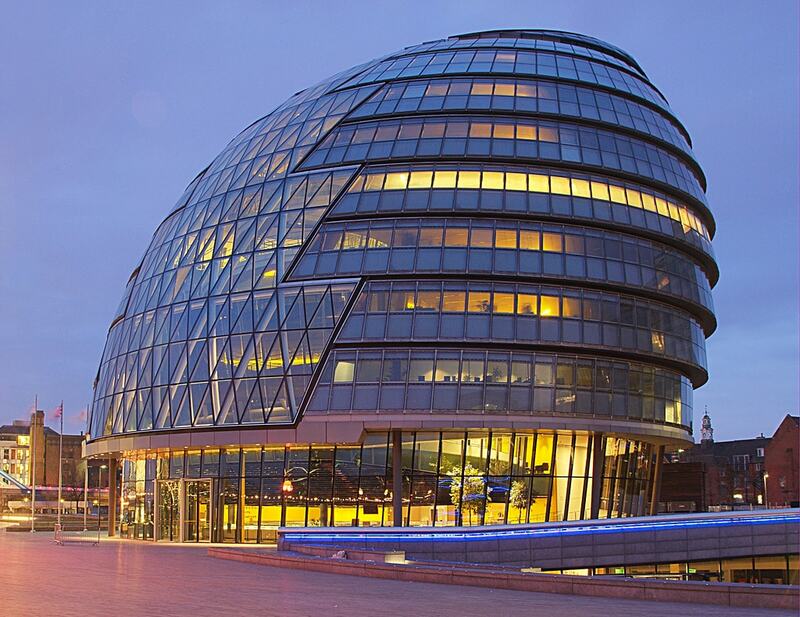 The London mayor’s office, a slanting beehive-like building on the side of the Thames, is free for the public to visit. Designed by Foster + Partners, the building bears similarities to the Reichstag in Berlin, which was renovated by the same architectural firm, like the large spiraling ramp inside. This slim block of six flats has been turning heads since it popped up in north London a couple of years ago. Designed by Amin Taha Architects, quirks of the award-winning building, which uses a timber frame, include wicker balconies, large square windows and a latticed brick façade. Flats in this 31-storey tower in West London are highly sought after by London’s designers. 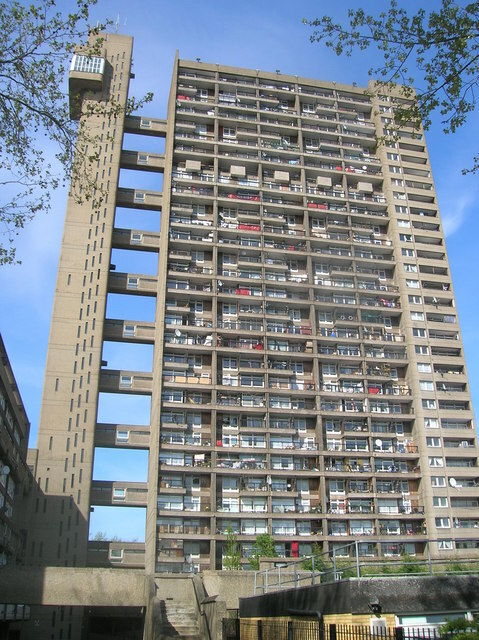 The Brutalist landmark was completed in 1972 to the designs of renowned Hungarian-born architect Ernő Goldfinger. The eye-catching architecture features a slender main building containing 217 flats, which are linked every three storeys to a slimmer service tower with a lift.